Signs You Need Air Conditioning Repair | Clean Air Act Inc. The good news is that many air conditioners display signs of trouble before they break down. Here’s always the chance of something unexpected happening, of course, but if you can spot the symptoms of trouble early enough, you might be able to stop a big problem while it’s still small. Now is the perfect time of year to plan such an operation: when the weather is still relatively cool and you have time to schedule the repairs at your leisure. 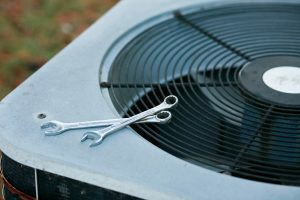 One surefire way of spotting the signs you need air conditioning repair is to schedule a maintenance session from a trained technician. They know how to spot the signs that something is wrong, and can improve the efficiency of your air conditioner just in time for summer. But there are some signs you can spot on your own, and while only a trained professional should attempt to formally diagnose a problem with your air conditioner, you can still check yourself to see if there’s a problem. That way, you can simply call in a repair service to get the issue taken care of. Low Airflow. Low airflow forces your system to work harder than it should to cool the home. In addition, it often means that cold air is trapped in your system, which can cause ice to form on the coils and damage other key components. Insufficient Cooling Levels. If you turn your air conditioner on and warm air comes out, you know there’s a problem. The same principle holds true for air that is cool, but not as cool as you’d normally expect. As with low airflow, it forces the air conditioner to work harder than it should: raising bills and increasing the strain on the system as a whole. Strange Noises. Strange noises qualify as any sound you don’t immediately recognize as part of the system’s normal functioning: groans, moans, whistles, clangs, anything out of the ordinary. In most cases, the noises will start and stop in time with the starting and the stopping of the air conditioner. Short Cycling. Short cycling is the process of turning on, running for a short period of time and turning off, only to run on again a few minutes later. It’s very hard on the system – since it takes more power to turn on and turn off than it does to simply run — and raises both your monthly energy bills and the strain on the other components. If you spot the signs that you need AC repair in your Beaverton, OR home, turn the system off and call The Clean Air Act today!